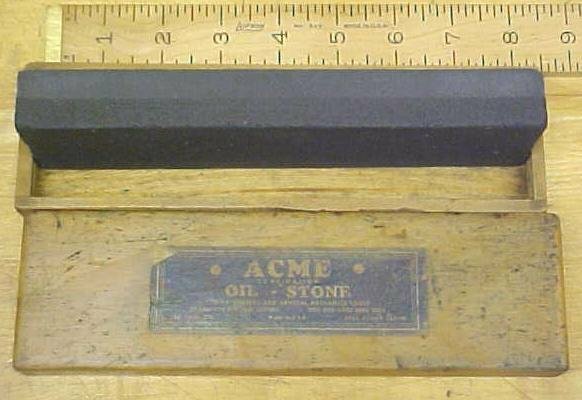 This is a very nice used combination sharpening stone, marked "ACME COMBINATION OIL STONE MADE IN U.S.A." on the wood box label. 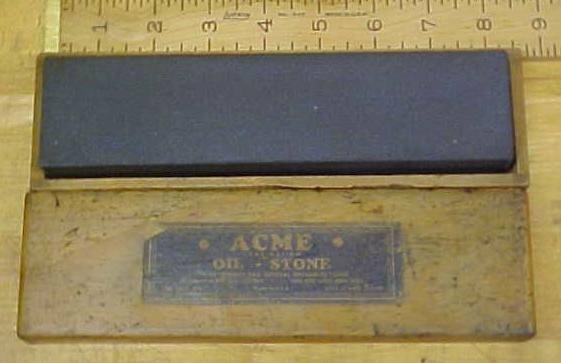 Overall a very nice sharpening stone, with a good box jointed cornered box that the stone fits in. 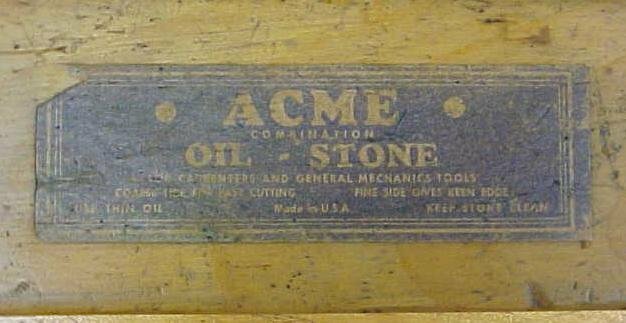 The box is clean and other than some minor dings and stain, is very nice looking, with most of the black ACME label intact, though it is slightly faded. The stone is cleaned and oiled, shows little signs of use, has two grains, one for roughing and one for finishing. Well known name, well liked over the years. The stone is 8" long x 2" wide x 1.0" thick. 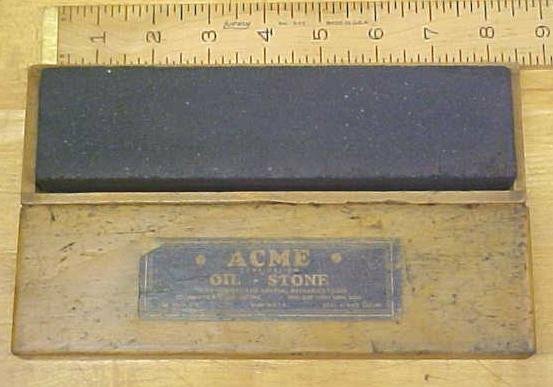 Items Similar To "Acme Oil Stone w/ Wood Box Fine/Course"